High mountains, long rivers... Callum and Finn teach you how to talk about big numbers. What's your ambition? Do you have a confession? Ever met a Martian? Learn suffixes. 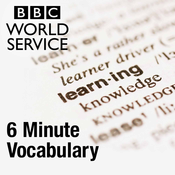 Catherine and Finn talk about words that have the same or similar meanings. Do you know your ouch! from your ugh!? Callum and Catherine will explain.